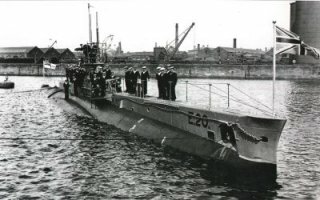 E-20 submarine were completed in 12nd of June 1915. But she couldn't survived too much. 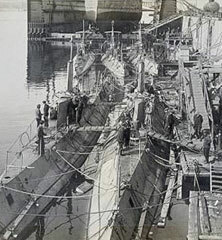 In 30 September 1915, French Submarine Turquoise under the command of Lt. Vaisseau Henri Ravenel, had to return to their base from sea of Marmara because of a mechanical failure. While returning back, because of a very strong drift she ran aground near a Turkish Castle at Nagara point. Captain surrendered in order not to lose his crew's life. But he didn't destroy the important documents in the submarine. Because of this, Turks learned the meeting plan with E-20 submarine. 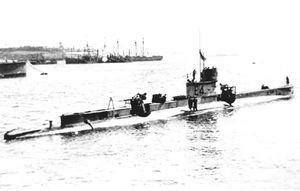 German submarine UB-14 under the command of Lt. 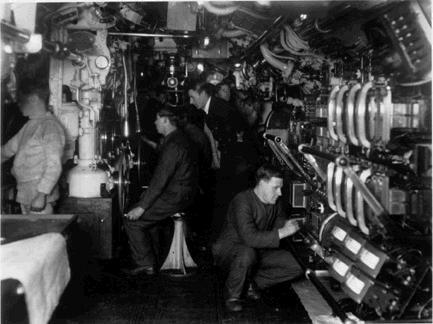 Von Heimberg, have been given the intructions and he sunked the E-20 submarien under the command of Co. Lt. Cdr. Clyfford in 5th of November 1915. 9 of her crew have been saved but the other 27 soliders were died. After the war Turquoise's captain Ravenel sent to court martial but he has been found not guilty.